"It is the Day of Resurrection, let us be radiant O ye people; Pascha, the Lord's Pascha: for from death to life, and earth to heaven, Christ God hath brought us, as we sing the hymn of victory." Thus sings the Holy Church in the words of Saint John of Damascus during the festal days of Holy Pascha. The great and holy days of Passion Week, days in which the Church commemorated the saving work and sufferings of the incarnate Son of God, which He deigned to take upon Himself in His incarnation---"for the sake of us men and of our salvation. . . ."
All the services of Passion Week, moving and deeply edifying, are devoted to this holy remembrance. In celebrating these services, the Church as it were, follows step by step Her Lord and Savior and prayerfully, sorrowfully, and gratefully hymns each step, each moment of His redemptive sufferings in corresponding prayers, liturgical ceremonies, and performance of the mysteries. But Passion Week has ended! Once, in our Homeland, Archbishop Innocent of Kherson, one of the splendid preachers of which there were many in Russia, in his inspired sermon on the day of Great Friday, the day of the sufferings on the Cross and the death of Christ the Savior, exclaimed: "Again Golgotha and the Cross! Again the Tomb and the Winding-sheet." But behold, we see that the Tomb is empty and the Winding-sheet no longer covers anyone. Christ is Risen-and taking the place of grief and sadness has come that joy that the Risen One Himself predicted to His disciples, "And ye now therefore have sorrow: but I will see you again, and your heart shall rejoice, and your joy no man taketh from you." (John 16:22). This joy is the joy in the Risen Lord. He rose from the grave as the victor over Hades and death-everything is flooded by the blinding light of His glorious Resurrection, and the joy about which He predicted to his disciples has now become the inheritance of all faithful children of His Church. Christ's Church renews this joy of the Resurrection every year in the joyful days of Pascha. And the faithful children of the church hear her good tidings, rejoice and celebrate. But not in vain do we read in the Holy Gospel the words of the Savior, "Fear not, little flock" (Luke 12:32). In our time, a terrible time, a time of such a falling away from all principles of faith and morality that we see now, the number of true believers is truly a little flock compared with that majority of mankind that has in fact lost the true faith and trampled on all the principles of Christian morality. Seeing what people, who have forgotten completely about Christian purity, modesty, and chastity, permit themselves, and not only permit themselves, but even maintain that all the vileness and filth with which life is now filled is something legitimate, moral, and deserving of approval. Seeing this, the word of Sacred Scripture that tells how man has joined the dumb beasts and become like unto them comes involuntarily to mind. And not only has he become like them, he has even became worse than them, for beasts do not know those abominations of which the Apostle said "it is shameful even to speak"-- but that are now done by the sons and daughters of man who have lost their shame and conscience. . . . But, "lest my mouth speak of human things," let us turn to the Joyous Feast of the Resurrection. In the Gospel reading that we heard at the Divine Liturgy on the night of Pascha are the words, "And the light shineth in darkness; and the darkness comprehended it not" (John 1:5), . . . the Divine light shone in the darkness and the darkness could not grasp or extinguish it. In the same way, the light of Christ's Resurrection shines in the world and the darkness of human delusions can not darken or extinguish it. The Lord Jesus Christ, speaking with the Apostles at the Mystical Supper, told them, "In the world ye shall have tribulation: but be of good cheer; I have overcome the world" (John 16:33). He was still only preparing for His podvig of redemptive and saving sufferings, but in His divine omniscience He saw this podvig as already having been accomplished and as Victor spoke of it to His disciples, to reassure them. And in His infinite mercy and goodness, He makes all those who believe in Him participants in this victory, which is why the Apostle says, "thanks be to God, which giveth us the victory through our Lord Jesus Christ" (1Cor. 15:57). And in the sacred book of the Apocalypse, we read God's promise, "He that overcometh shall inherit all things; and I will be his God, and he shall be my son" (Rev. 21:7). . . .
Rejoice then, Christian. And do not fall into despondency on seeing how evil is spreading in the world. Of course, it is difficult for the Christian soul to see this spread of evil, filth, falsehood, and malice. 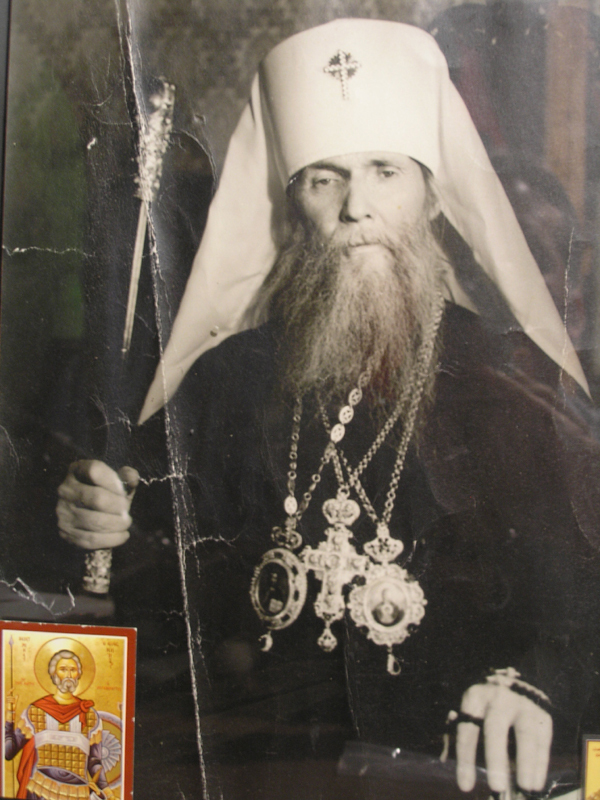 Even in his time, our great righteous one, Father John of Kronstadt, pointed out that one of the most difficult trials for a Christian is the triumph and spreading of evil and falsehood and the impossibility of stopping it. Yes, there are such periods in life. The Savior suggested this in the Garden of Gethsemane when He said to His enemies, who had come to seize Him, "this is your hour, and the power of darkness" (Luke 22:53). And they took Him. But their time passed, the power of darkness ended, the light of Christ's Resurrection shone forth, and life conquered death, Good conquered evil, and Truth conquered falsehood. In the joyous days of Pascha, Russian believers often recall how the great God-pleaser and wonder-worker, Saint Seraphim of Sarov, in the course of the whole year, not just during the Paschal season, met all who came to him with the joyful greeting, "my joy, Christ is Risen!". The great ascetic in his vast and laborious spiritual experience recognized all the power and dominion of evil in the world. But he also recognized the triumphant power of the Joyous Resurrection of Christ, before which evil is powerless. And being always filled with the radiant, triumphant joy of Pascha, he shared it with those who came to him with their afflictions and sorrows, transfusing, as it were, this joy into their dejected and grieving souls. .
How beautiful our Orthodox Faith is! With what a bright, unfading light it illuminates our lives, filled with sin and vanity! But all its power and light are in the Resurrection of Christ. If Christ the Savior had not risen but had remained in the tomb, life would have turned into a terrible, evil, and unbearable nightmare. . . . But Christ's resurrection did take place-and the Church summons all its faithful children to rejoice and to celebrate Christ's Resurrection. For in it we "celebrate the slaying of death, the destruction of Hades, and the beginning of a new, eternal life."